One essential element of good video is the well-composed shot. Composition is the arrangement of visual elements in any work of art according to the principles of art. The technique of composition is used in all visual arts including painting, graphic design, photography, sculpture, video and film. 16:9 called “sixteen-nine”, “sixteen-by-nine” and “sixteen-to-nine” is the international standard format of HDTV. It is an aspect ratio 16 arbitrary units wide by 9 arbitrary units high. The old broadcast television and video was 4:3. 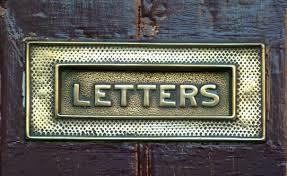 Older 4:3 screens can show the 16:9 format in letterbox. Letterboxing was developed for 4:3 TV screens before widescreen TVs were available. It is also necessary on a 16:9 widescreen to display the unaltered original composition of a film with a wider aspect ratio, such as Panavision’s 2.35:1 ratio. On an older 4:3 TV, programming is displayed in either a letterbox format or in a 4:3 center-cut format which cuts off the sides of the picture. This hasn’t changed since we used it in 4:3. 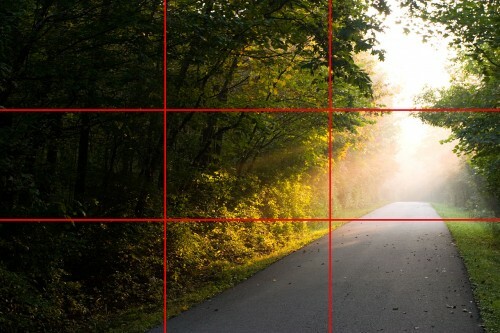 The main focal point of a shot should lie on the intersections of a grid of thirds or along these lines. This composition is much more interesting than putting the subject in the center. Using the rule of thirds puts more emotion in a shot and in 16:9 there’s lots of space to include the background. Cinematographers have been using these technique for decades. Cameramen and camerawomen who shoot for both 16:9 and 4:3 follow a framing policy called “protect and save.” The viewfinder displays the full 16:9 picture with 4:3 frame lines superimposed on it. Important visual elements of the shot are kept in the 4:3 frame. Any important information must be kept in the 4:3 frame. This compromise is only necessary when you must compose for both formats. This protect and save approach detracts from the virtues of the 16:9 screen. Use the entire 16:9 frame. Don’t just bunch everything in the center. By using the entire 16:9 frame there’s more room to include background elements which may be part of the story. Close-ups will include a lot of background so make the background work for you. 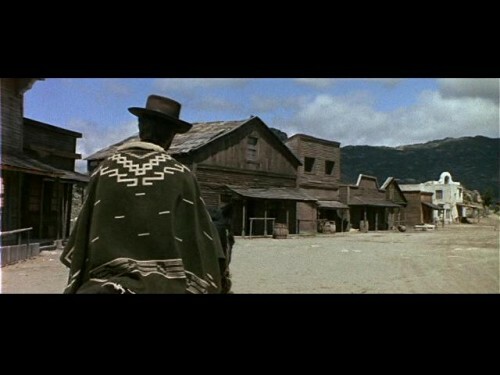 In a wide 16:9 shot several subjects in different locations of the frame can form points of a straight line that unifies the frame. You may place subjects so they form a line. Horizontal, vertical, and angled lines can contribute to creating different moods. Horizontal lines, commonly found in landscape photography, can give the impression of calm, tranquility, and space. An image filled with strong vertical lines tends to have the impression of height, and grandeur. Tightly angled convergent lines give a dynamic, lively, and active effect to the image whereas strongly angled, almost diagonal lines generally produce tension in the image. When a composition has many diagonal lines it is called Dynamic Composition. The dynamism or excitement comes from the fact the diagonals are somewhat unsettling (as opposed to a static compositions that communicate peace and tranquility). When a subject is facing or looking left, that subject should be on frame right. This feels comfortable because the subject is looking at open space. This is called lead room or lead space. If a character is looking frame right, he should be placed frame left. You now have the ability to show vast sweeping landscapes, so use it. Wide cityscapes, fields, lakes and roads are ideal for the widescreen. If the main action is 60 feet from the camera, you can often add visual interest by placing another action like someone crossing a street closer to camera. This foreground action could be children playing, a waiter pouring coffee or anything that fits in the scene. Avoid having the foreground action overpowering the main action. The foreground can help a somewhat static shot main action of two people talking. Study visual composition by turning the sound off on a film. This helps you see the visual design of a shot as the sound track distract the viewer from critical study of visual design. Ask how is the cinematographer using the screen real estate. What visual elements are used in a shot? Critically viewing cinematography can be the best education.